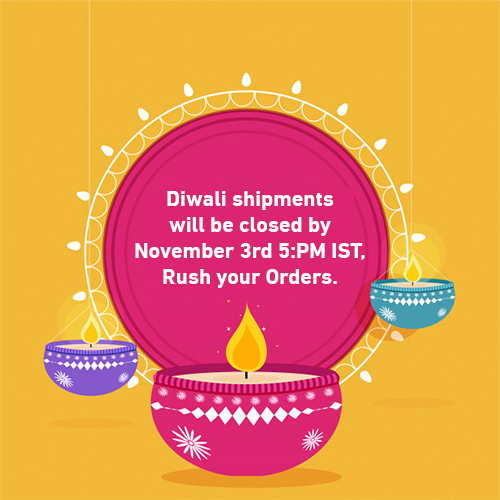 All orders placed before 3:PM IST will be shipped the same day. Shipping rates and time duration for other countries are calculated at checkout. All orders are processed and shipped on Business day only. Orders placed through Next day delivery will be delivered the next business day. A fast efficient service with happy customers is our aim. If you need any help please email info@pattupavadai.com or give us a ring and we'll be delighted to assist you and answer any queries. We strive to deliver all packages to our clients in the best condition and in the minimum possible time. All products should reach you within 4-6 working days. However, in situations beyond pattupavadai.com control there may be circumstances, when there is a delay. In such cases, we will ensure delivery in the earliest possible timeframe. Once your order has been shipped, you will receive a notification confirming your item is on its way to you. 1. If you want to return something, you must return us within 14 days of receiving the items. Only defected ones / wrong ones / size issues can be accepted. 2. You are responsible for paying to return the item. 3. All returned items must be unworn, unwashed merchandise with the tags attached. 5. Shipping costs will not be refunded. 6. Refunds can only be issued to your original payment method.